Dr. Joel Diamond has extensive clinical and technology experience. He formerly served as CMIO and chairman of the Physician Advisory Board at the University of Pittsburgh Medical Center, St. Margaret Memorial Hospital, where he facilitated 100% adoption of CPOE in a community hospital. 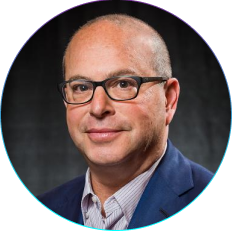 He helped develop dbMotion, a solution for health information exchange and population health and later became the Chief Medical Officer for Population Health at Allscripts Healthcare. Dr. Diamond currently serves as an adjunct associate professor of biomedical informatics at the University of Pittsburgh. He is a diplomat of the American Board of Family Practice and a fellow in the American Academy of Family Physicians while continuing to care for patients at Handelsman Family Practice in Pittsburgh, PA.